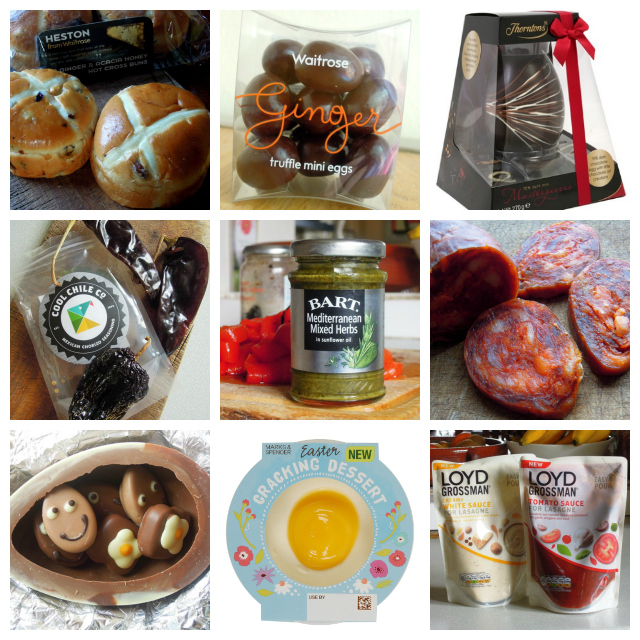 With only a few days left until Easter, here’s a quick round-up of some of the top products my family have been taste-testing recently, in case you’re on the look out for a few last minute shopping ideas. This ‘Cracking Dessert’ from M&S received a very definite thumbs up from my two girls. It’s a crunchy crumb layered with milk chocolate cheesecake and vanilla mousse, topped with orange and lemon curd. Usually I find these types of pudding too sickly sweet but this is just the right combination of fruity tang and creamy sweetness. £1.30 for a 95g single pot. 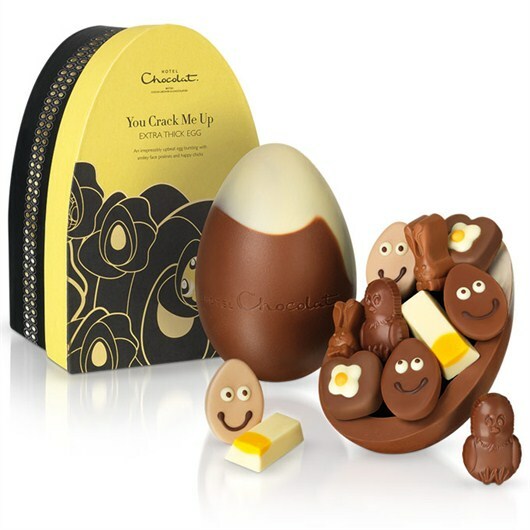 Another sweet treat that really made my children smile was this luxurious extra thick chocolate egg with its assortment of humorous mini chocolate creations from that wonderful British chocolatier, Hotel Chocolat. At £28 you might argue this is simply too good for little people but I’d definitely recommend buying them just this one egg and it’ll keep them going for quite a while. My girls wrote their own review, which you can read here. 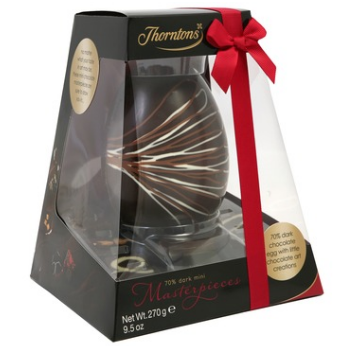 If you want good chocolate but Hotel Chocolat is a little out of your price range, then how about this 70% dark chocolate Masterpiece egg from Thornton’s? The seductively rich and dark chocolate egg comes surrounded by pretty mini masterpieces – chocolate art creations in delicious flavours including toffee, fudge, orange and raspberry. £9.99 for 270g. 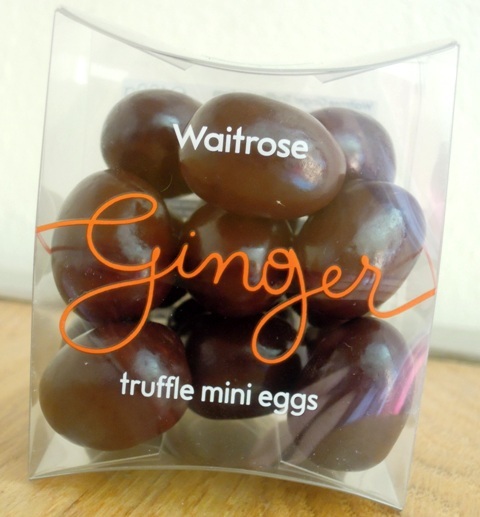 Ginger and dark chocolate is one of my all-time favourite combinations and when I saw these ginger truffle mini eggs on the shelves at my local Waitrose I couldn’t resist picking up a box. At £3.50 for a 100g they make for an affordable naughty treat. The truffle centre is gorgeously soft and smooth with a warming hint of soft ginger spice, covered in deep dark chocolate. Perfect as an after dinner chocolate with a cup of strong espresso. 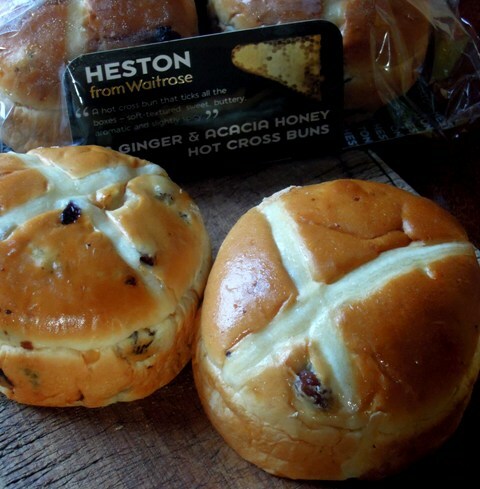 Another recent impulse buy from a lunchtime jaunt to Waitrose were these acacia honey and ginger hot cross buns from their Heston Blumenthal range. Beautifully spiced and not too sweet, I think I might be copying this flavour combination the next time I bake my own. At £1.69 for two, they are much more than I’d normally pay for hot cross buns but they are very good, although possibly more of cake than a tea cake and just fabulous served with thickly spread with butter and a strong cup of tea. 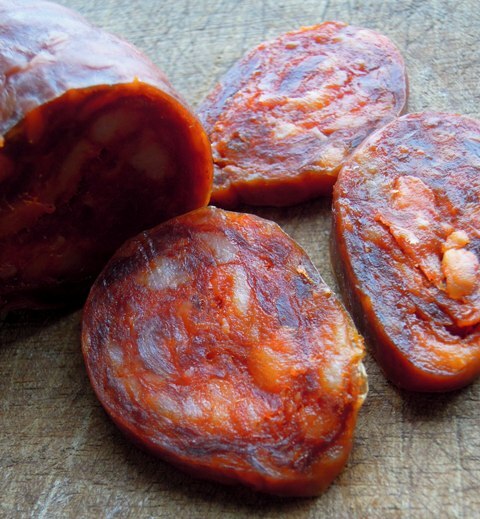 Authentically produced in the mountains of northern Spain, with an earthy, spicy and smoky flavour, Chorizo de Leon from Unearthed is great served as part of a selection of Spanish meats and cheeses for cold tapas. It is also equally good as a cooking ingredient, as in the fantastic chorizo stuffing my husband prepared recently to serve with roast chicken for my Mother’s Day feast. Available from Waitrose and Ocado, £3.79 for 220g. 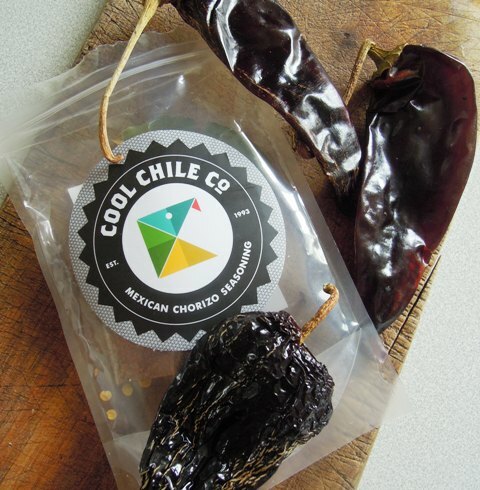 This seasoning pack from the Cool Chile Co is a simple way to create your own wonderfully spicy, tangy Mexican chorizo meat. The kit provides you with chile ancho, chile guajillo, chile chipotle as well as a Mexican chorizo spice mix containing achiote powder, Mexican oregano, thyme, cinnamon, bay leaf and clove. £2.60 for 46g. I was sent a kit recently to review and was a little dubious as to why I’d bother making my own chorizo meat rather than just buying it ready-made. But I am now completely sold. I used the seasoning to create a beautifully flavoursome spiced pork mince which I then served as part of a queso fundido – essentially a Mexican take on a cheese fondu – and it was one of the most moreishly delicious dishes I’ve tasted recently. I’ll bring you the full recipe on the blog very soon, I promise. 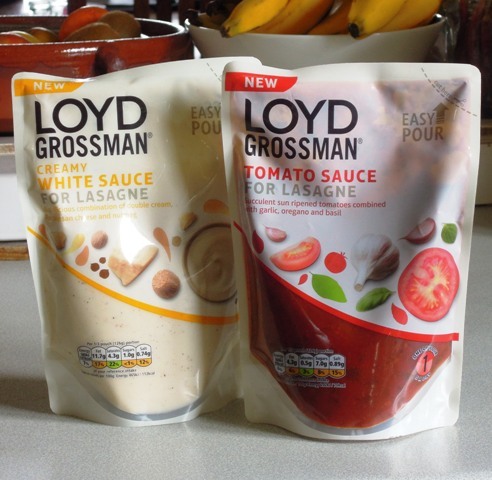 I don’t use packed or jars of sauces very often but this offering from Loyd Grossman is one I think I’ll use again. My family loves lasagne but while it’s particularly not difficult, it’s not the quickest dish in the world to make either, and so if you’re looking to cut corners but still achieve that proper homemade taste, these sauces are the way to go. The tomato sauce is rich and full of herbs, while the white sauce is creamy, with a lovely hint of nutmeg, and it isn’t too sweet, which is so often the case with these ready-made sauces. £1.69 per pack. 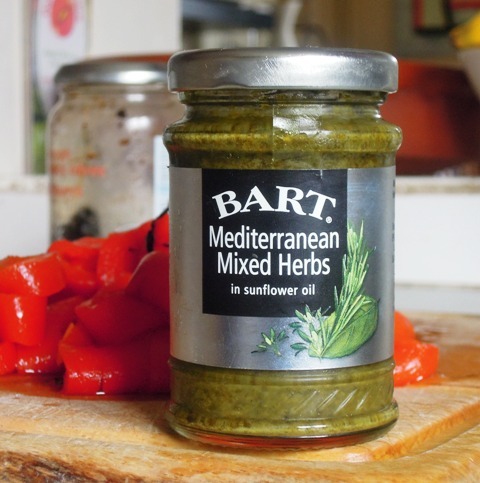 I actually first bought these Bart herbs in oil by accident when I was doing an online supermarket shop. I thought I was buying dried mixed herbs but these arrived instead. And I’ve been a fan ever since. It’s delicious spooned onto homemade pizzas, stirred into pasta sauces and roast vegetables, and I also rather like mixing it through boiled rice. £1.79 for 85g. Disclosure: I was sent complimentary samples of Hotel Chocolat and Thornton’s Easter eggs, M&S Easter Cracking Dessert, Unearthed Chorizo de Leon, Cool Chile Co Mexican Chorizo Seasoning and Loyd Grossman’s lasagne sauces for review purposes. No money exchanged hands and all opinions expressed are my own. Those ginger mini truffle eggs sound so good! Who would have thought it.